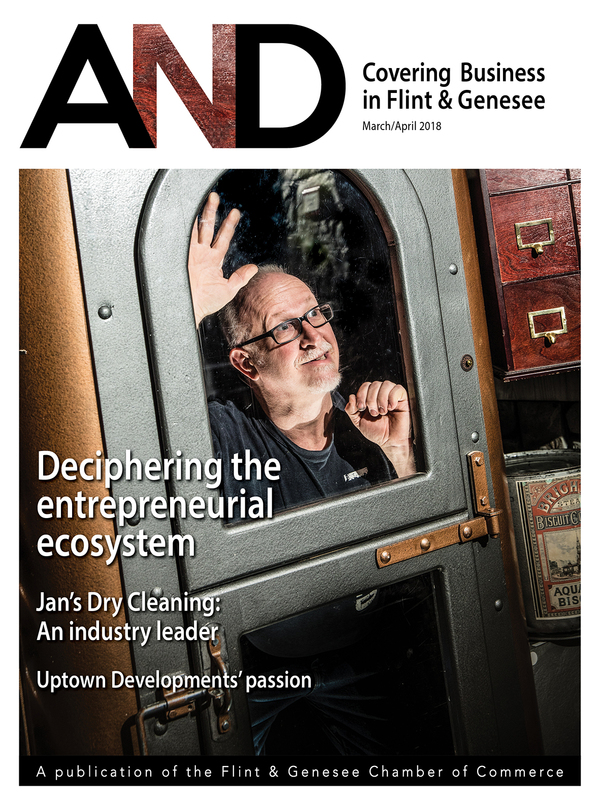 AND is a bimonthly magazine, published by the Flint & Genesee Chamber of Commerce, for local business and community leaders, and entrepreneurs. 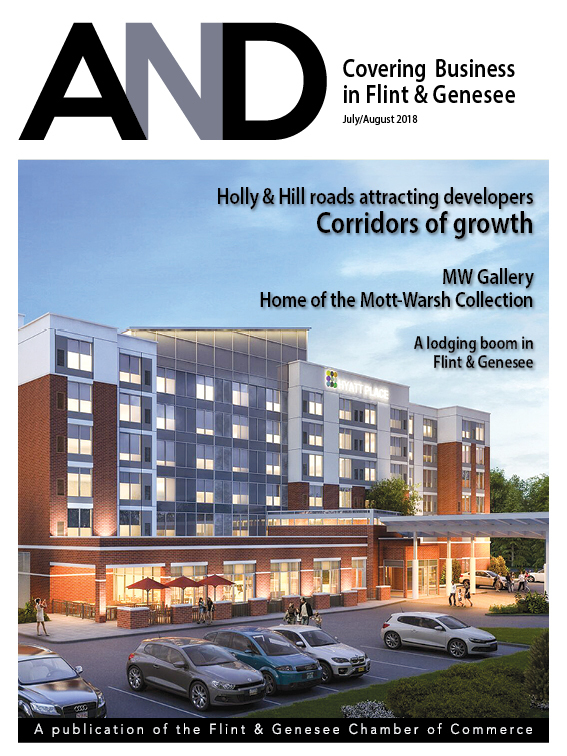 It reports on economic development; small business and entrepreneurs; commercial and residential real estate; education; and other general business topics. 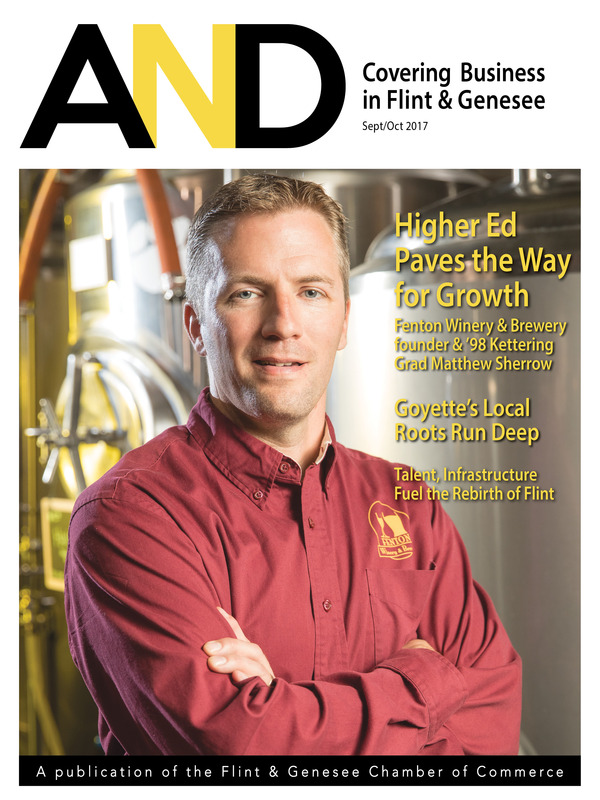 AND also features articles on the area’s best and brightest executives and business trends. 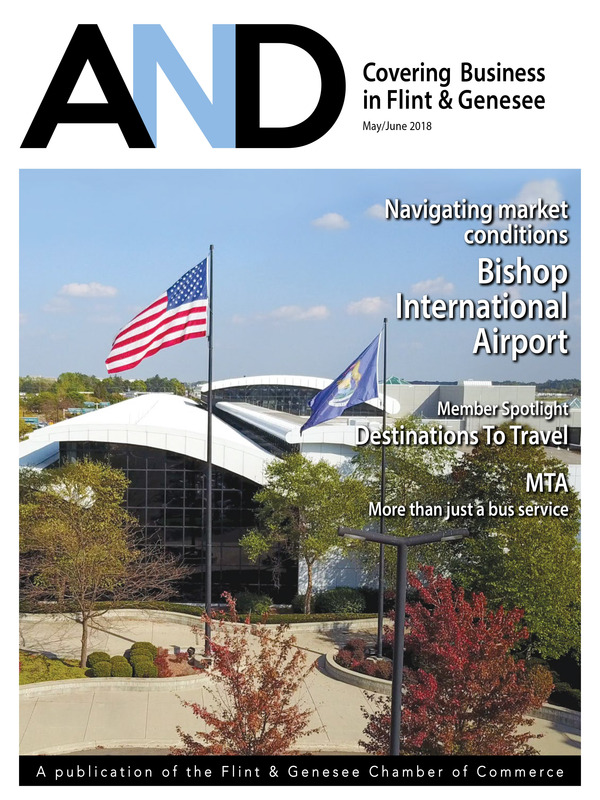 On the cover: Bishop’s passenger terminal. On the cover: Owner Royce Lawrence works to unlock the Steampunk Time Machine at Michigan Escape Games in Davison. 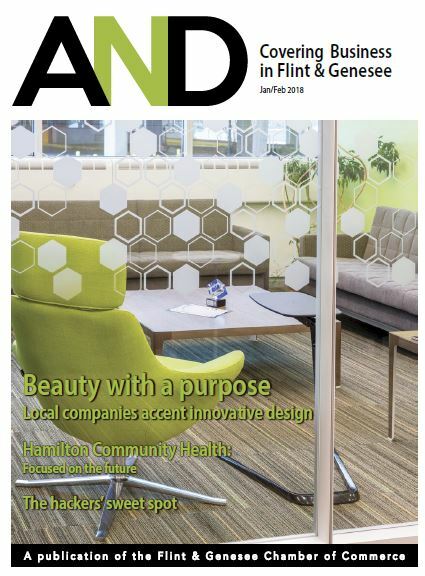 On the cover: Huntington Bank’s informal meeting room in its client waiting area. The first-floor space was renovated to service Huntington’s business, commercial and private banking colleagues and clients. Small businesses are the hackers’ sweet spot. How to protect your investment. 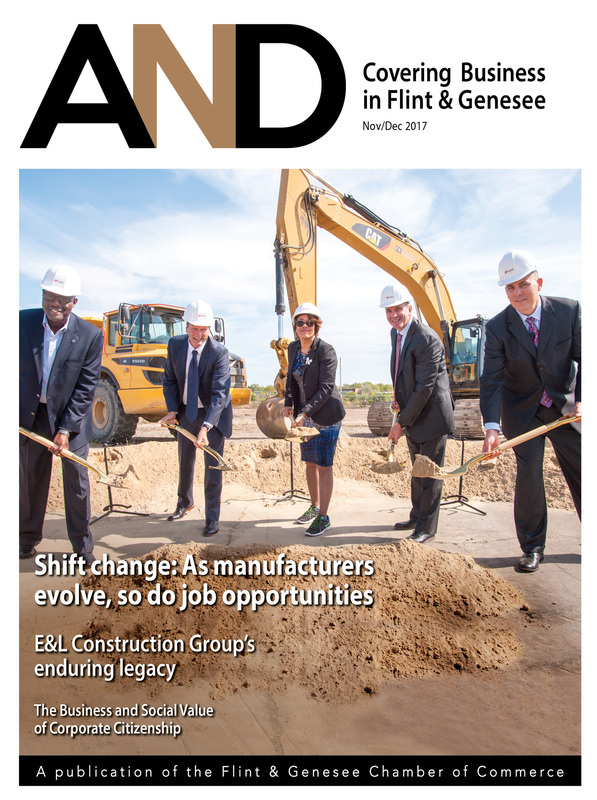 On the cover: (From left) Gerald Kariem, director of UAW Region 1-D; Tom McMillen, executive director of interiors and safety, global purchasing and supply chain at General Motors; Flint Mayor Karen Weaver; Ray Scott, executive vice president of Lear and president of Lear’s seating business; and Jason Scott, global vice president of Lear’s GM seating group, breaking ground for the Lear facility at the Buick City complex.